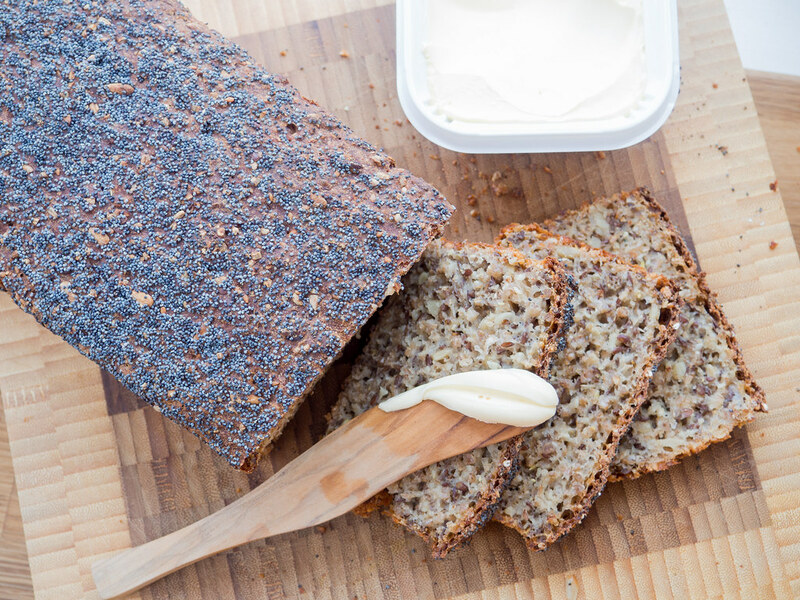 This recipe I have posted here on this page is one of my favorite types of bread – the Nordic Rye Bread. This is actually the third recipe I have here on my blog for Rye Bread, but I simply just like it so much that I need different variations of this bread. First Time Making Rye Bread? 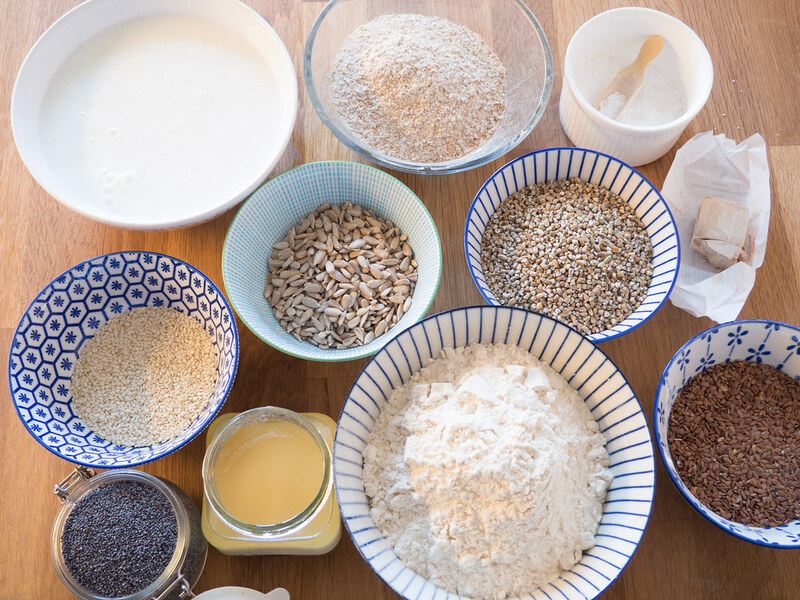 If it is you first time you are making a Danish Rye Bread I will recommend you to follow my other recipe for Rye Bread made without sourdough. If you are looking for the most traditional recipe for rye bread, you should follow the recipe where the sourdough is used. Find both recipes in the section with bread. As I have described just below, I love to experiment with different types of bread. 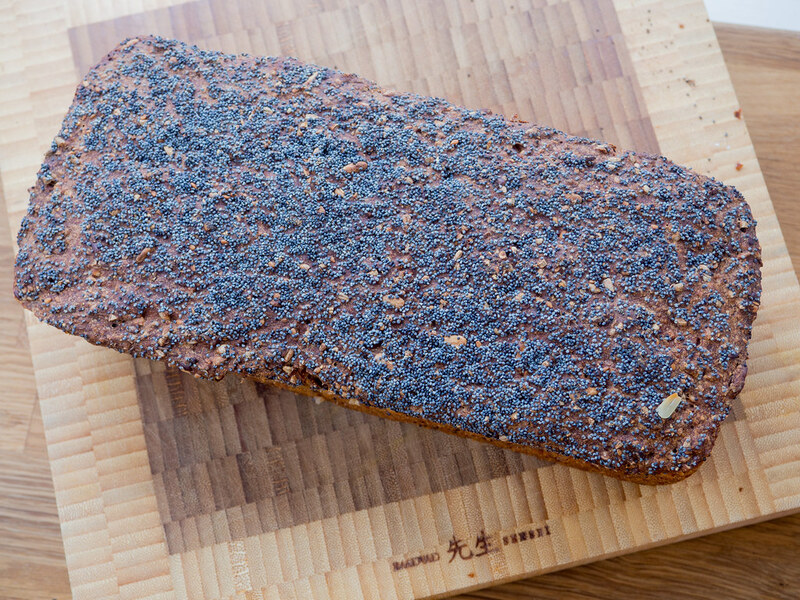 This recipe, for rye bread, is a result of this experimenting. 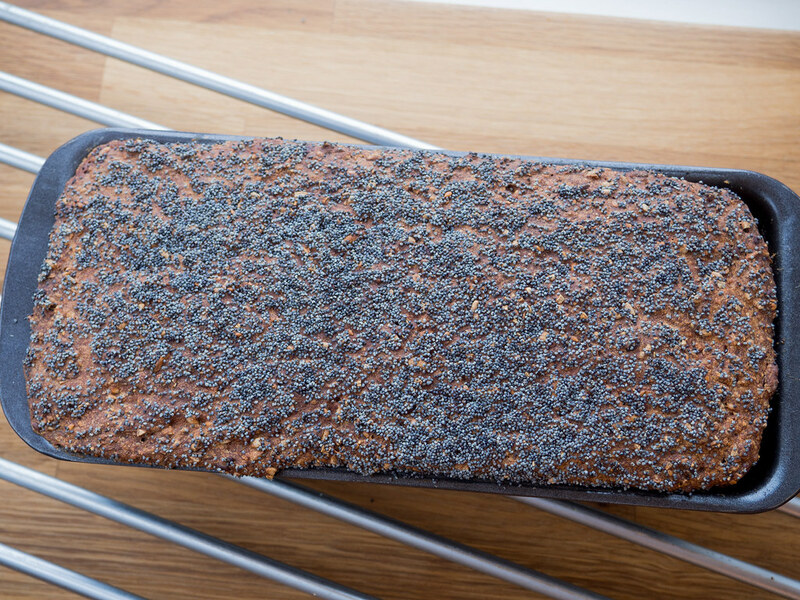 A traditional Danish Rye Bread is made and based on a Sour Dough. A sour dough is a sour liquid dough packed with great bacteria, which are great as a rising agent for bread and especially rye bread. The recipe I have listed below does not use sour dough but instead fresh yeast. The sourdough gives the bread a taste that is more traditional but I personally think fresh yeast does a good job as well. 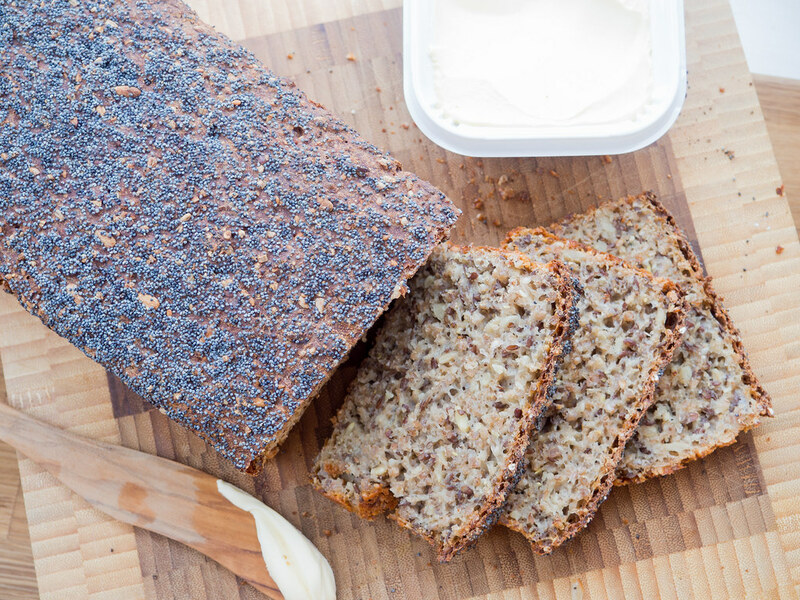 In Denmark and the other Nordic countries, rye bread is typically served as a part of a lunch. The bread is cut in slices and served with all kinds of different topping like ham, beef, eggs, fish filet and so on – basically everything eatable food that you like. Besides rye bread, you can find all kinds of delicious types breads in my bread section. I will recommend the walnut bread and the birthday buns. Because this rye bread is make without sourdough, which typically takes about 4-5 days to prepare from scratch, it is actually easy to make this delicious bread. 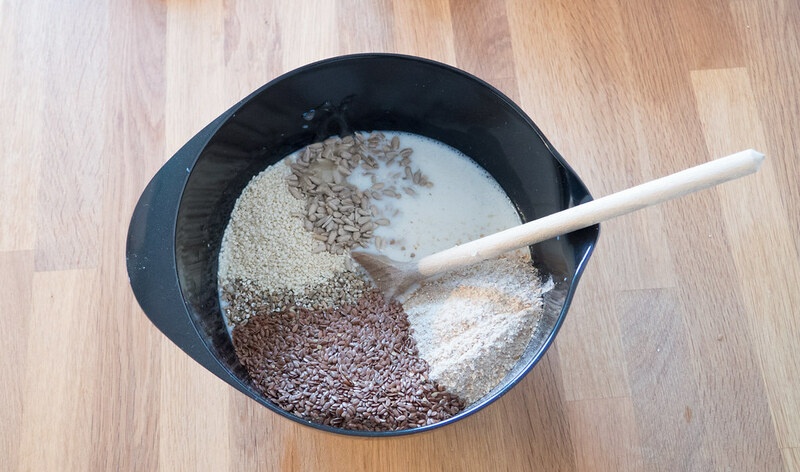 In a large bowl, you start by adding lukewarm water and dissolve the fresh yeast in it. Then you add the rest of the ingredients except the flour and the poppy seeds. When everything is mixed well, step-wise add the all-purpose flour and stir well in-between. 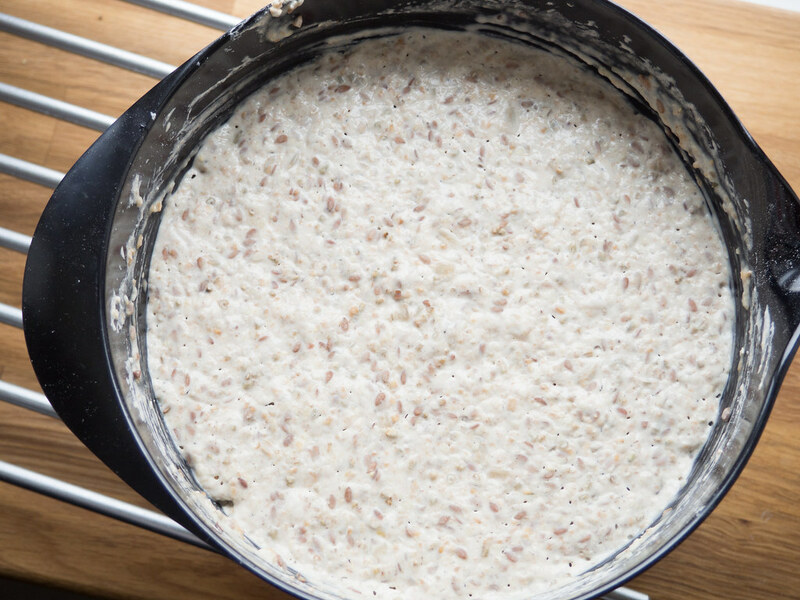 Now the rye bread dough should be like a thick porridge. Coat/spray the inside of a bread pan with butter and pour the dough into it. Cover the bread pan with a dishtowel and set it aside to rise for about 1 1/2 hours. Finally, bake the bread at 180 C (360 F) for approximately 1 hour and 20 minutes. When done, let the bread cool off on an oven rack before cutting slices off it. 1. 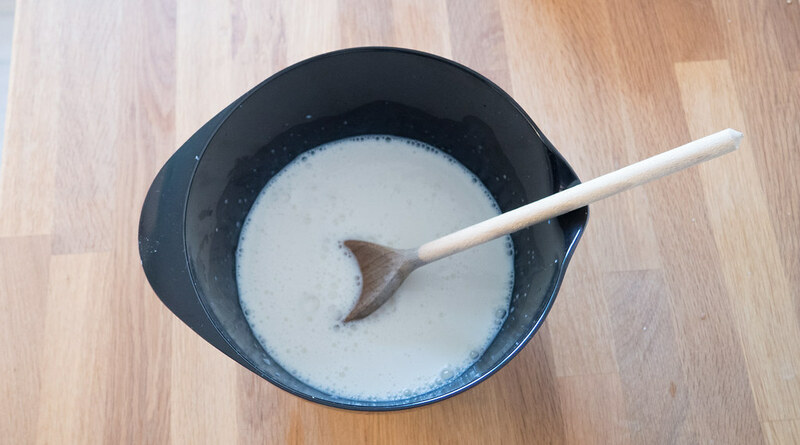 In a large bowl; dissolve the yeast in the lukewarm water. 2. Add the rest of the ingredients except the all-purpose flour and poppy seeds. Stir to mix everything. 3. Complete the rye bread dough by adding the all-purpose flour step-by-step. Stir well in-between each step. 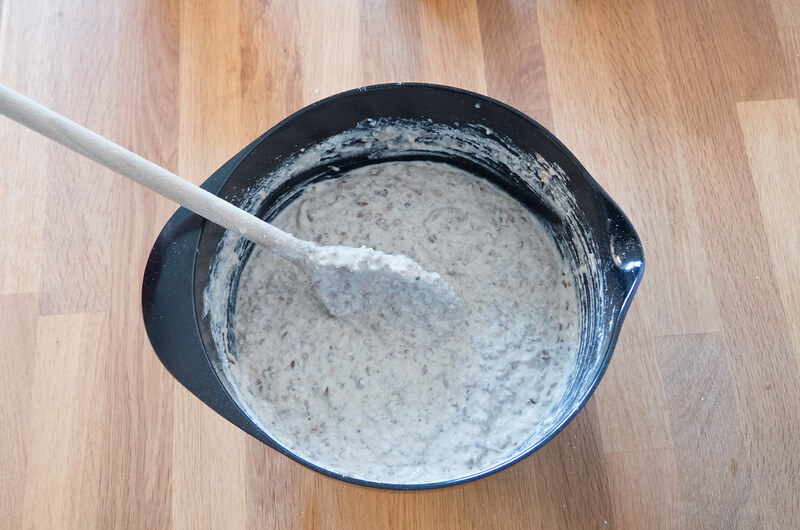 The consistency of the dough should be like a thick porridge. 4. Set the dough aside somewhere warm and cover the dough with a clean dishtowel. Let it rise for about 1 hour. 5. Spray/coat the inside of a bread pan with some butter. 6. 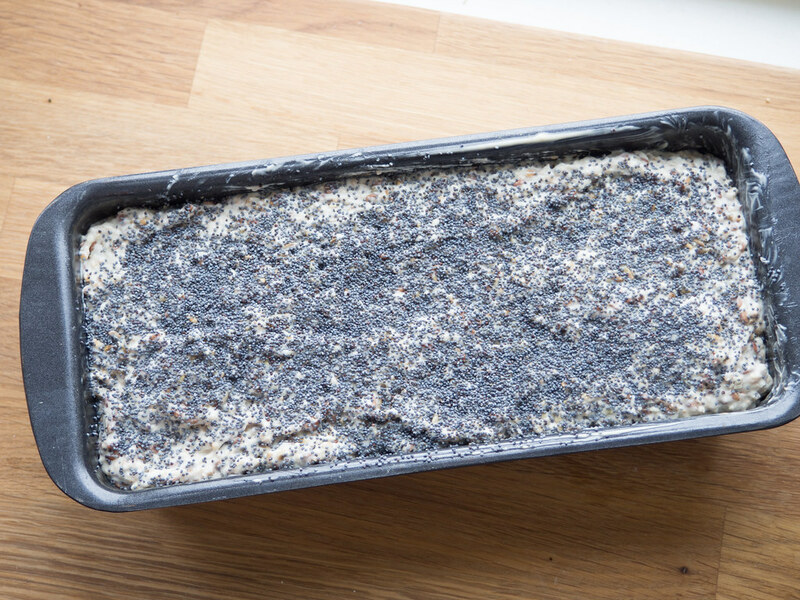 Pour the dough into the bread pan and sprinkle the top with poppy seeds. 7. Cover the bread pan with a clean dishtowel and set it aside some place warm for about 1 1/2 hours. This will let the rye bread rise. 8. Bake the bread at 180 C (360 F) for about 1 hour and 20 minutes. It is important to keep an eye on the bread during this time as the baking time might variate a little bit. The bread is done when it sound hollow when ‘knocking’ on it. 9. When the bread is done, remove it from the bread pan and let it cool off on an oven rack. It is normally a good idea to wait until the bread is cooled off before cutting it. Hello from Thailand. Thanks so much for this recipe. I made one this morning, it turn out quite good though I didn’t have a perfect ingredient as you recommend. My loaf is rising in the pan. Jeg glæder mig sindsyg meget at smage det. Jeg er lige begyndt at bage mit eget rugbrød. Jeg bor i Colorado/USA hvor man kan overhed ikke finde rigtig dansk rubrød. I think I’ll stick to the sourdough version which I love and have great success with. This one doesn’t appear to have much Rye in it. I’m a great fan of your original Danish Rye, but I look forward to trying this version too.